Whiplash injury can be defined as an occurrence in which the neck portion of the body is moved quickly in a front to back motion, it can also be called a neck strain, neck sprain or a hyperextension injury. This type of injury is usually experienced by people that have been in auto accident but can also be due from any type of athletic activity or some other traumatic physical injury. The fast movement of the cervical area will cause traumatic damage to the soft tissue and ligaments in the neck, shoulders and upper arms. When soft tissue is mentioned here, it is referring to the muscles of the neck, shoulders and arms. The damage which muscles can experience are tearing and sprains, these tears and sprains can range from minimal to extensive. Minimal damage would be referring to the cervical region of the body and extensive damage which also affects the muscles around the spine, shoulders and arms. The resulting swelling from tears at site of injury can cause moderate to severe compression of the nerves which will translate into pain and numbness sensations. Headaches can also be present, they are caused by a chain reaction of acute and or chronic swelling at the injury site which than results in a decrease circulation of fluids from spine to the individual’s head. Pain can be experienced in the neck, shoulders, arms, between shoulder blades and low back. Numbness can be present in the arms depending on severity of damage. Medical massage treatment plays an important role in the recovery process by decreasing level of pain and allowing the body to use its existing energy towards healing itself versus fighting against the pain. The treatment plan can use multiple type of massage to achieve the goal of healing. Increasing relaxation of the muscle tissues will aid in decreasing pain and general discomfort at the same time ensuring the symptoms decrease and don’t evolve into a chronic condition. Decreases pain caused by muscles and connective tissue bound by tightened inner tissue (fascia) after the fascia is loose and stretched by this treatment method. The fascia can best be described as an inner layer of fibrous connective tissue which provides separation and a binding of organs and muscles along with other components of the body. This method of treatment will allow the fascia to be more relaxed and fluid in its functionality. 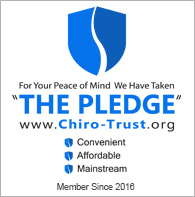 The above symptoms will vary person to person and will need to be addressed for the person to achieve a return to pain free normal neck function. Massage therapy is a beneficial component in helping the body recover from a whiplash injury. It is advised to meet for a consultation and assessment with a massage therapist, the massage therapist will then write up a treatment plan outlining the course of prescribed treatment for the neck injury. To begin your healing process, please send us a message or give us a call at 425-355-3739.